Project contract is a formal document that allows identifying the parties involved in defining the project, implementing its goals and producing desired deliverables. The following Project Contract Checklist explains the key aspects for consideration. Use no more than 20 words to describe the title of your project. Include aims, outcomes, significance and social/economic benefits of the project (about 50-100 words). Define key terms and references that describe the project and its background. Outline key issues and problems to be addressed by the project. Include information about relationships with other projects and how these projects are prioritized to your present project. Explain the rationale and key goals. Define and describe the effect and resonance your project makes to all parties involved in the contractual relationships. Describe the approach (incl. conceptual framework, design and methods) planned for use in the project. Explain how the approach is appropriate to and well integrated with the goals of your project. Make an outline of analysis, research and study to be performed to justify the project. Write a project description that includes all the aspects mentioned above. Identify deliverables to be produced. Make a list of acceptance criteria to be used to accept or reject deliverables. Be sure that these criteria are developed in line with user requirements and customer expectations. 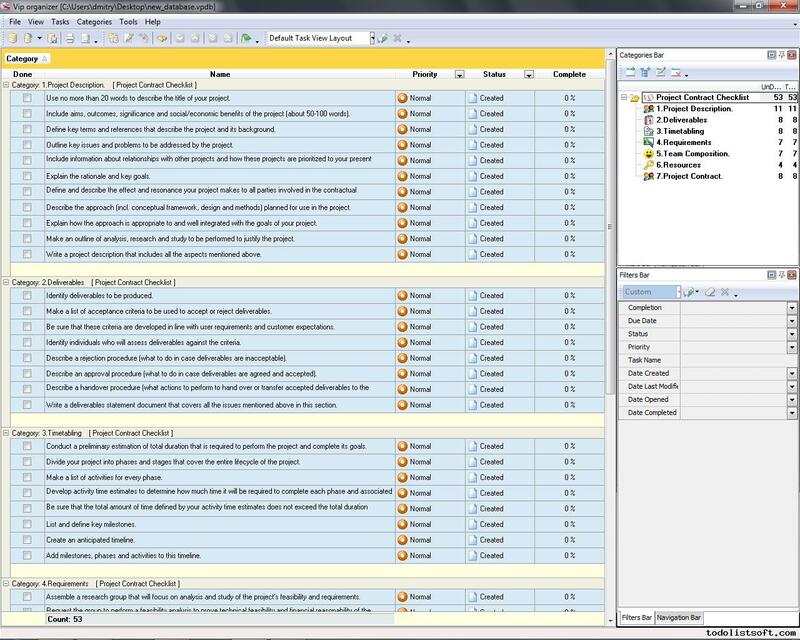 Identify individuals who will assess deliverables against the criteria. Describe a rejection procedure (what to do in case deliverables are inacceptable). Describe an approval procedure (what to do in case deliverables are agreed and accepted). Describe a handover procedure (what actions to perform to hand over or transfer accepted deliverables to the customer/user). Write a deliverables statement document that covers all the issues mentioned above in this section. Conduct a preliminary estimation of total duration that is required to perform the project and complete its goals. Divide your project into phases and stages that cover the entire lifecycle of the project. Make a list of activities for every phase. Develop activity time estimates to determine how much time it will be required to complete each phase and associated activities. Be sure that the total amount of time defined by your activity time estimates does not exceed the total duration estimated earlier. List and define key milestones. Add milestones, phases and activities to this timeline. Assemble a research group that will focus on analysis and study of the project’s feasibility and requirements. Request the group to perform a feasibility analysis to prove technical feasibility and financial reasonability of the project. Convert results of the analysis into basic (preliminary) requirements. Communicate with the customer to define expectations. Communicate with the sponsor to discuss financial requirements for the project. Review and approve all the requirements. 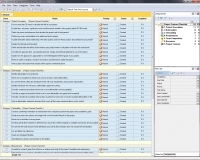 Develop a requirements statement document. Identify roles and duties for the project team. Define key skills and requirements every candidate to the team must fit. Organize a team recruitment process to interview and select the best candidates to the team. Define a team building procedure (what actions to perform to build the team). Select and assign an individual to the role of project manager. Select and assign individuals to the role of team leader. Develop a team organizational chart that explains what individuals compose the project team and what roles and duties they are assigned to. Make an estimation of all kinds of resources (including labor, finance, time, technology) that are required to do the project. Estimate the total price of providing necessary resources. Be sure that the total price covers expenses for resource allocation and administering. Develop a resource management plan that explains what resources are required, where to get them and how to manage them. Develop the contract header that includes such information as Project Title and Parties involved. Write the contract body that includes Project Description, Deliverables Statement, Timeline, Requirements Statement, Team Organizational Chart, and Resource Management Plan. Develop a section dedicated for signature and seal. Have the document reviewed, revised and approved.